Under Construction - PHOTOS OF MODEL - Description: If your buyer is looking for elegance at an affordable price, we have just the townhome for them! Enjoy entertaining in this open and spacious kitchen featuring a large center island. This gorgeous townhome offers upgraded design features such as 42 white kitchen cabinets, 18 X 18 ceramic tile throughout the first floor/ main living areas & bathrooms upstairs, granite countertops throughout, stainless steel GE kitchen appliances (including refrigerator), GE washer/dryer and a beautifully interior paint color. Just minutes from I-75 and I-4, providing easy access to shopping, dining and entertainment options in Brandon and the rest of Tampa Bay. Just minutes from I-75, I-4, and the Tampa Crosstown Expressway, providing easy access to shopping, dining and entertainment options in Brandon, Downtown, Riverwalk, Ybor City and the rest of the Tampa Bay Area. 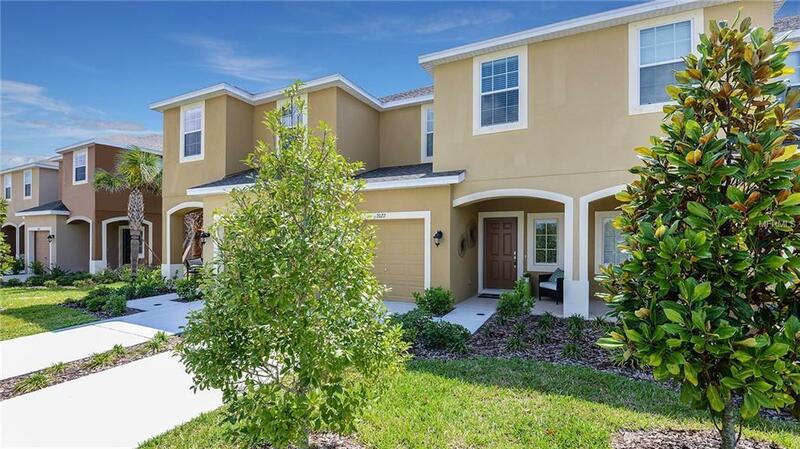 Just minutes away from I-75, US-301, and Selmon Expressway making it a quick commute to Downtown Tampa, Riverwalk, MacDill Airforce Base, Tampa International Airport and so many more great locations in the Tampa Bay area!